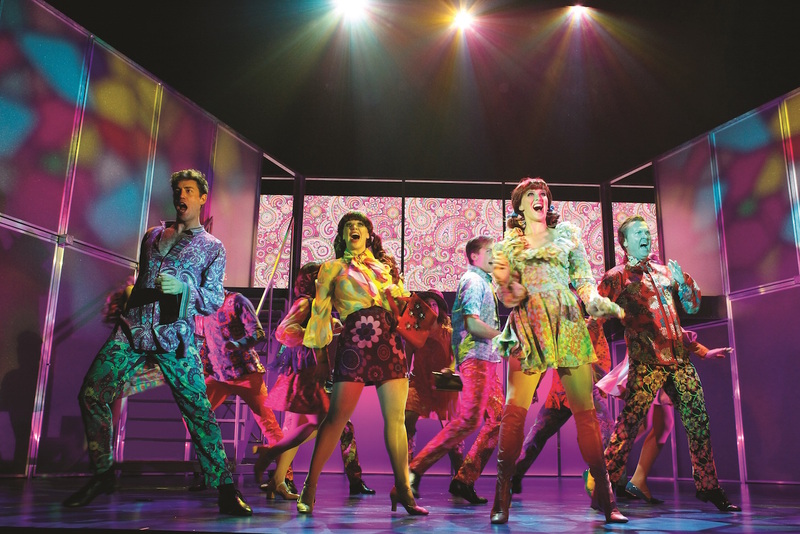 The brand new jukebox musical draws from a particularly strong catalogue of music, which fans of the era will adore hearing again. 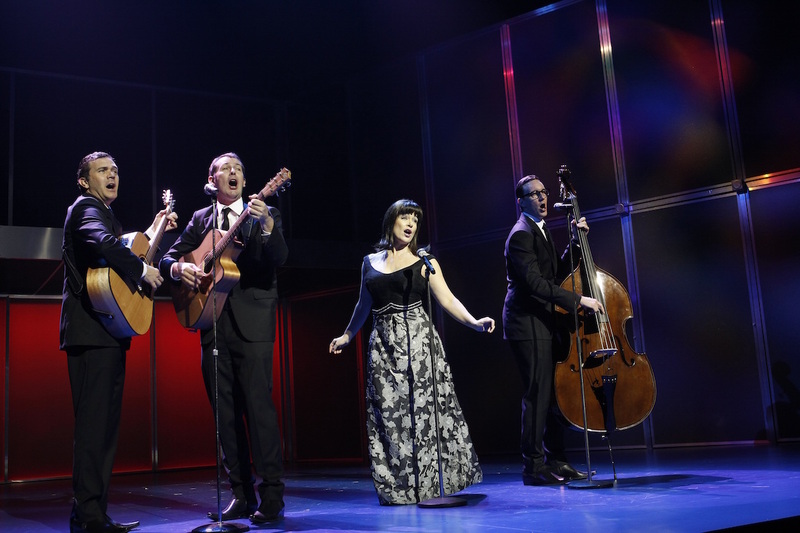 Musical supervisor/arranger/orchestrator Stephen Amos expertly recreates the pop-infused folk sound of The Seekers to terrific effect. 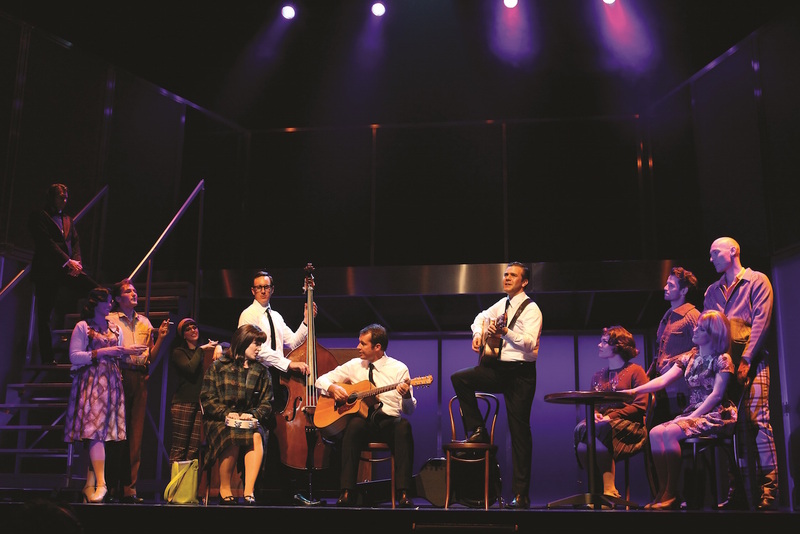 A band of 11 musicians allows a richer musical theatre sound than would have been achieved with only guitars and drums. The blend of voices is crucial not only to the enjoyment of the show but also to the storyline; the talented cast, under Amos’ guidance, absolutely nails this. 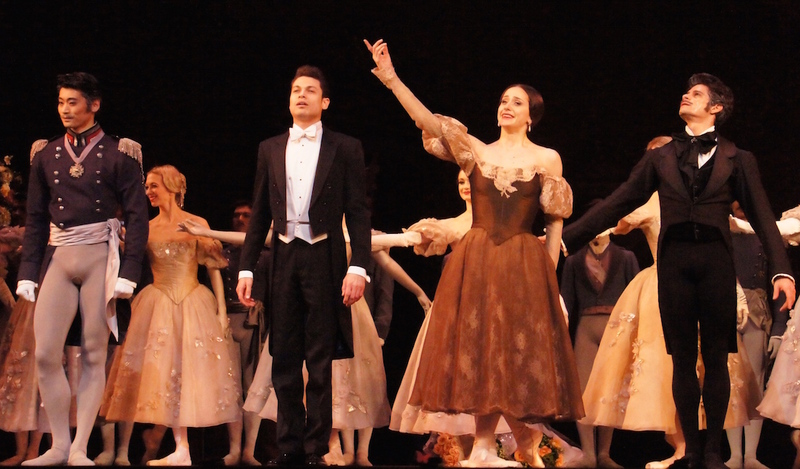 Much as the songs are wonderful to hear, there is a limitation compared to other such musicals in that the lyrics are not particularly suited to storytelling. 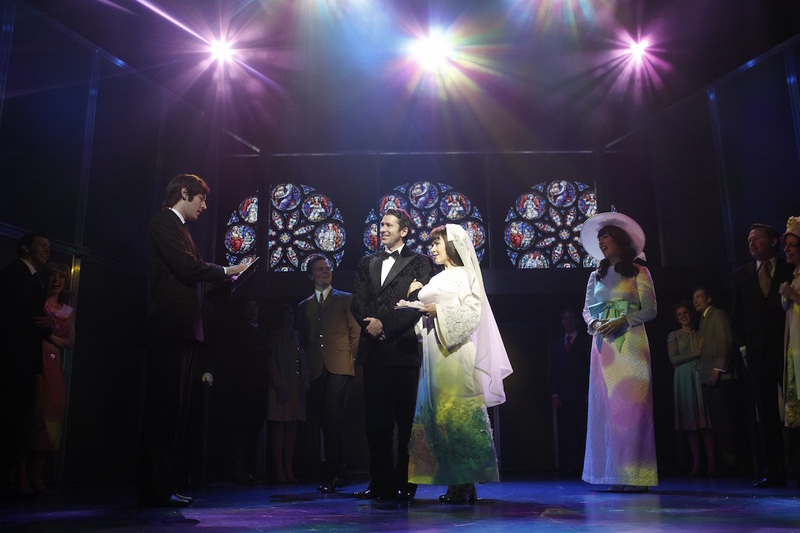 The show still earns the title of being a piece of musical theatre (rather than the dreaded “play with songs” tag), but many of the songs have a concert-like feel. Authors of the Four Seasons musical Jersey Boys successfully avoided this aspect by only including snippets of songs that were not major hits. Jersey Boys also had the advantage of lashings of dramatic elements, such as the mob, prison, gambling debts, adultery, drugs etc. The Mamas and The Papas musical Flowerchildren also had an abundance of dramatic tension from which to draw. 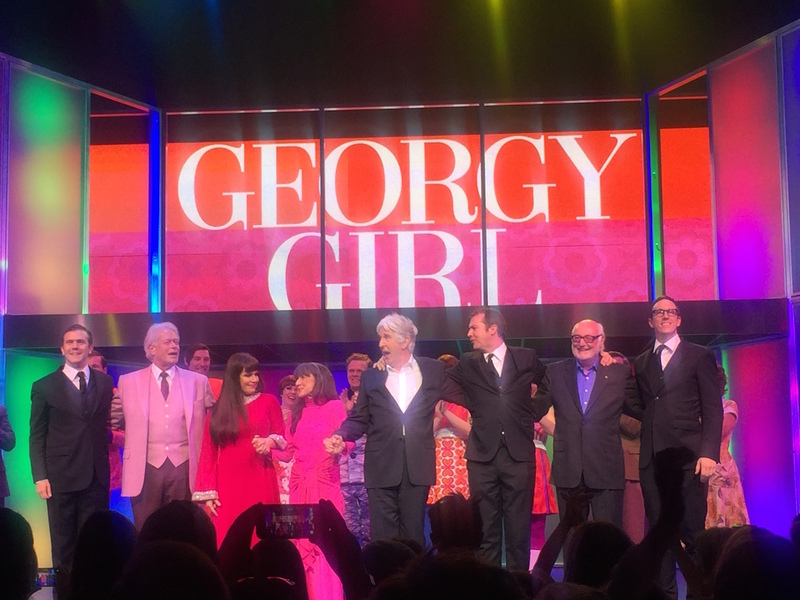 While both of these shows explored the lives of all four members, Georgy Girl might better be subtitled “the Judith Durham musical” rather than “the Seekers musical,” given its almost exclusive focus on the leading lady. It might also be the first musical to include appendicitis as a dramatic moment, but when the characters are this clean-cut, book writer Patrick Edgeworth needs to take the twists where he can. 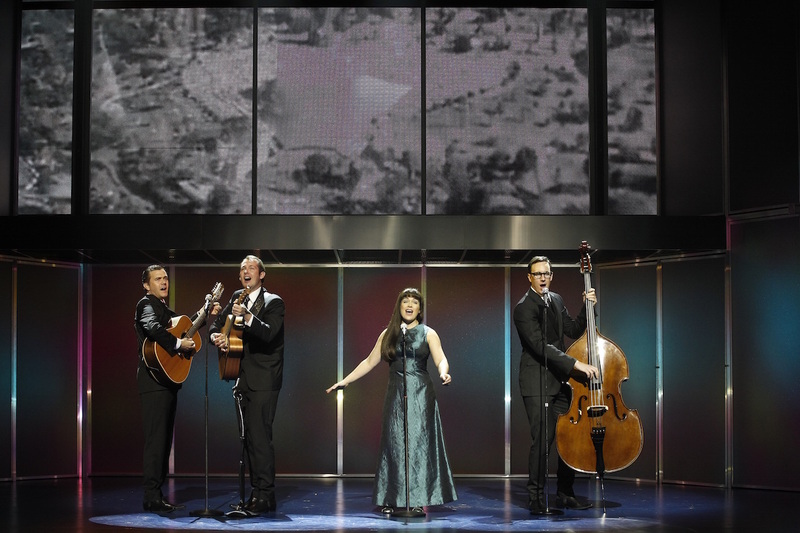 Blessed with an extraordinarily smooth upwards journey, The Seekers’ unlikely but meteoric rise to international stardom would be hard to believe, if, of course, it had not all actually happened. There are a few hiccups, like the very low percentage of record sales of their first contract and the pantomime booking that caused them to miss the Academy Awards, but the band initially enjoyed a charmed existence. The fact that Durham could walk away at the height of the band’s success is a real piece of drama that remains tantalisingly unexplored. In a sensational lead performance, Pippa Grandison endearingly conveys Durham’s insecurities and foibles, and sings the hit songs with electric precision and purity. Durham’s own composition “Mamma’s Got The Blues” is one of the most effectively integrated songs, coming when Durham has discovered that her lover John Ashby (Ian Stenlake) is a cheating louse. Linking the narrative is a charming Brit, who later turns out to be a significant character in Durham’s life. Adam Murphy judges the deliberately fluffy comedy of this role perfectly, establishing a strong rapport with the audience. This bond makes his character’s fate all the more devastating, and this reviewer was not the only audience member moved to tears. Durham’s fellow musicians are played by Phillip Lowe (Keith Potger), Mike McLeish (Bruce Woodley) and Glaston Toft (Athol Guy), each of whom maintains a strong, charismatic presence despite the lack of character background provided. The boys have a couple of numbers as a trio, their harmonies sounding just as delicious as when combined with Grandison for the full Seekers sound. Director Gary Young shows a deftly light touch in keeping the show bright and breezy. In the absence of meatier material, Young focuses on making the show a joyful celebration of this great band. Multiple characters from the ensemble cast are clearly delineated, and our attention and affection are always clearly focused. Producers Richard East and Dennis Smith have combined experienced practitioners with up-and-coming talents in the creative team. 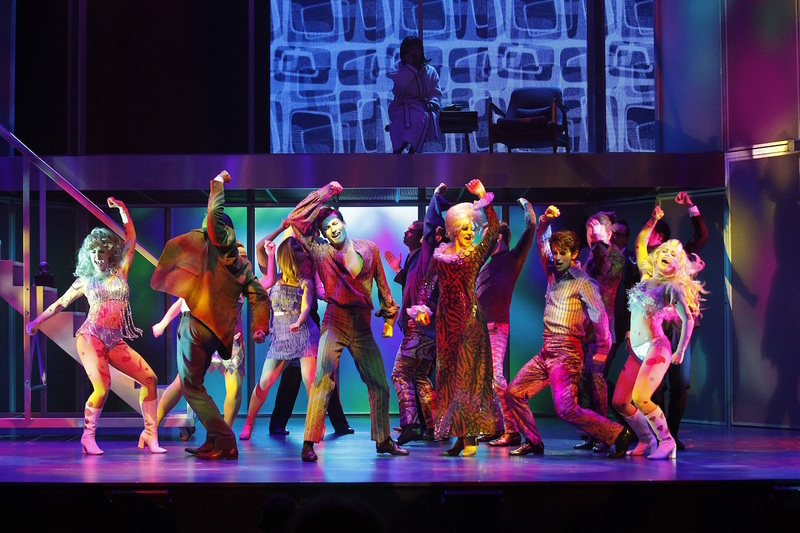 Prolific scenic designer Shaun Gurton has provided a single set of translucent glass walls, which gives lighting designer Trudi Dalgleish a broad canvas for all manner of colourful lighting effects. A large rear video screen on the top level adds images to help establish locations. While the layout of Gurton’s set is well utilised, the linear, stainless steel aspects of the structure are somewhat at odds with the warm 1960s vibe. Fast rising choreographer Michael Ralph continues to display unique creativity and flair, providing choreography that is as highly energetic as it is sharply controlled. Flipping briskly from uniform moves to individual breakout stylings, Ralph’s dance vocabulary of the era is so rich that he never seems to use the same move for more than a couple of beats at a time. 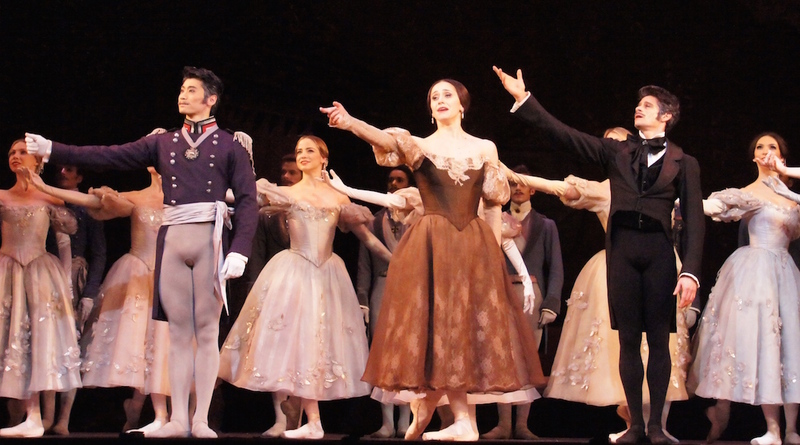 Given the necessarily static book and band scenes, the choreography provides welcome visual stimulation throughout the show. 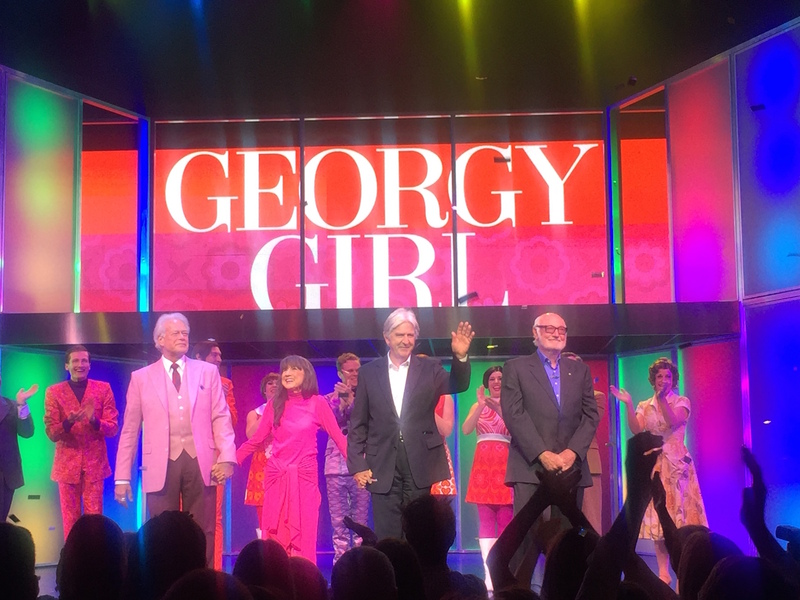 Costume designer Isaac Lummis completes his largest, most high profile project with Georgy Girl, clearly demonstrating that his talent will be on seen stage for many years to come. In the absence of scenic elements, costumes are everything, and Lummis clearly tells a story of class, nationality, fashion and success. Showing his penchant for sparkle in the world tour sequence, Lummis also creates swinging sixties outfits in groovy pinks and oranges and, later, crisp black and white. His eye for fabrics and textures provides ongoing visual appeal. 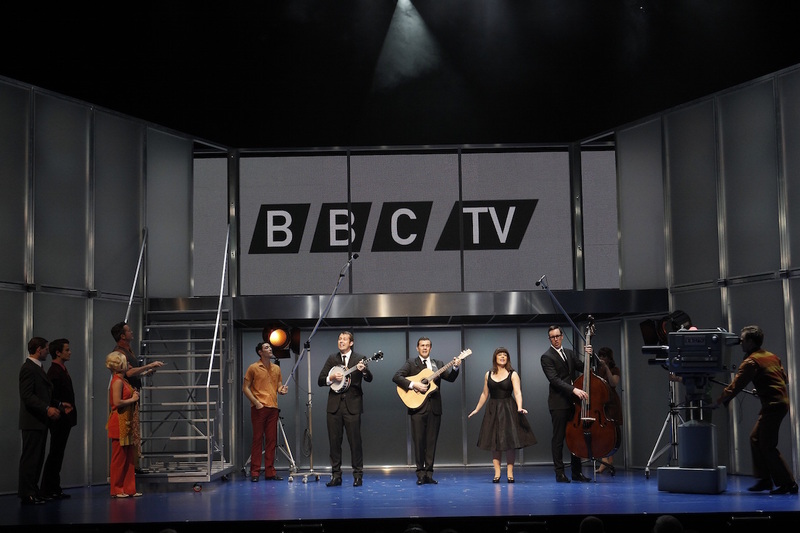 The hardworking ensemble sing, dance and act their way through a myriad of contributions to the success of the show. Stephen Wheat stands out as drily amusing British music producer Eddie Jarrett, who is never short of an Australian-based putdown for the group. Sophie Carter projects a loving, affectionate presence as Durham’s sister Bev, with whom Durham appears to have enjoyed her closest long-term relationship. 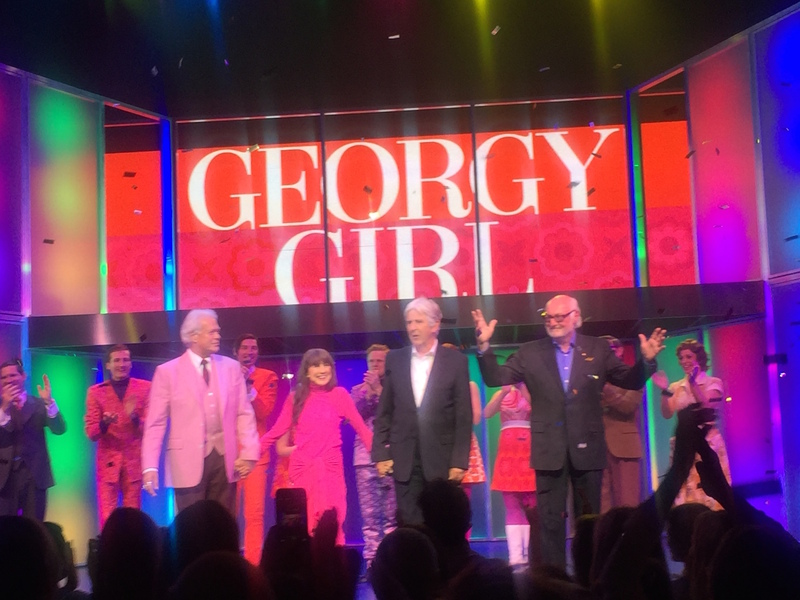 A new Australian musical is no easy feat, and hearty congratulations go to all involved in Georgy Girl. 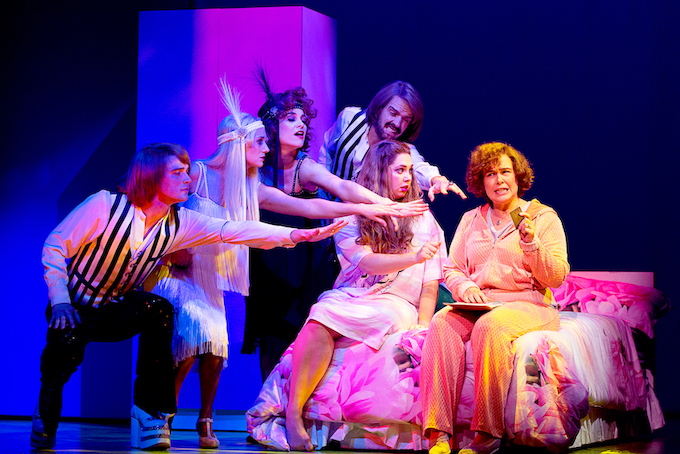 The show would surely be warmly welcomed in London’s West End. 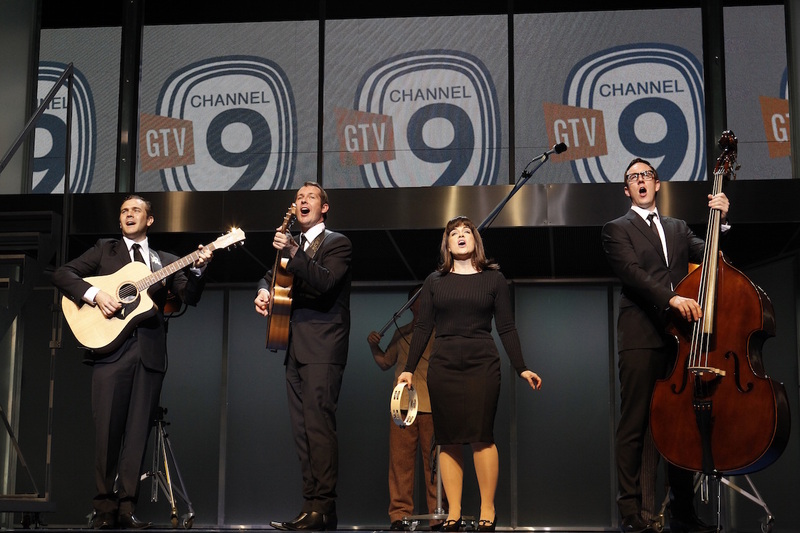 Meanwhile, Australian audiences who grew up with this music will find plenty to enjoy in this feel-good, beautifully sung musical. 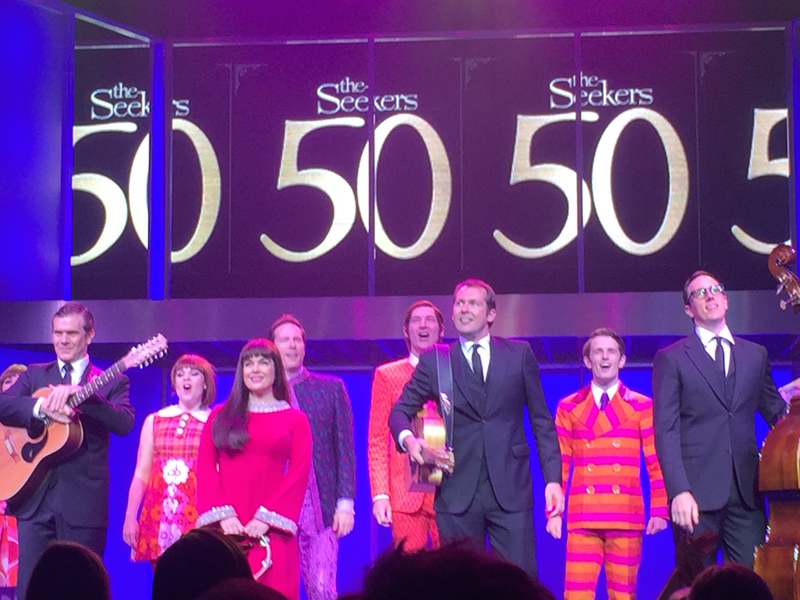 Man in Chair also published more than 20 photos in Georgy Girl the Seekers Musical sneak peek. 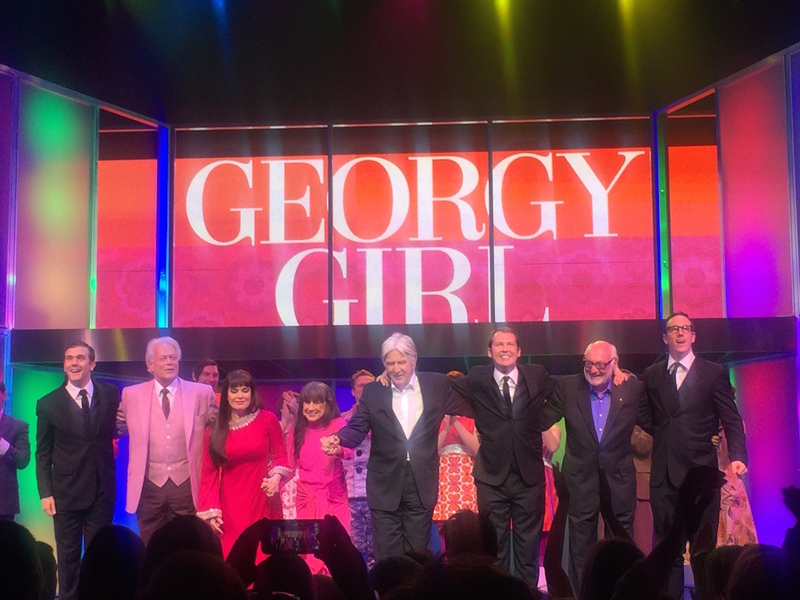 The Seekers joined their stage counterparts for the curtain call on opening night of the world premiere of Georgy Girl. I like your review style, Simon. Very authentic :). Would love to feature your reviews in our weekly curated email digest that goes out to thousands of people. Thanks Elissa, I appreciate your feedback.